The Symbiosis International (Deemed University) was built around the vision of ‘promoting international understanding through quality education’. The Symbiosis International (Deemed University) was built around the vision of ‘promoting international understanding through quality education’. To aid this undertaking further, the Symbiosis Institute of Foreign Trade was established in 1992. As the global horizons expanded, the founders felt the need to imbibe students with something more than just Foreign Trade. This gave rise to the Symbiosis Institute of International Business (SIIB) in 2001. After 27 years, SIIB stands strong as one of the elite business schools in India. Over this period, the institute has not only aimed to provide its protegés with an education of a global perspective, but also mold their personalities in a way that helps them emerge into skilled and successful global citizens. The industry-competitive syllabus and experiential learning approach have helped students to succeed in all walks of their lives. 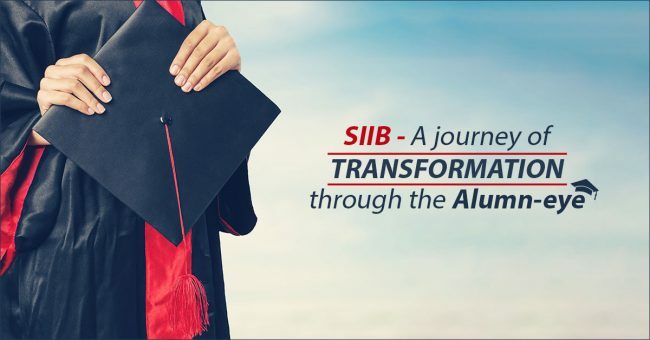 Here is what the alumni of SIIB have to say about their experiences. These are a few instances of how SIIB’s 27-year-old legacy has been a crucial pillar for many students to becoming world-class managers. If you want a similar experience that prepares you for a thriving career and the global business challenges of tomorrow, here is the information about the various postgraduate programmes offered at SIIB. You can also view more of our alumni speaks here.